Well, as the topic indicates this is where we come to chat free of the rules of the RP world. 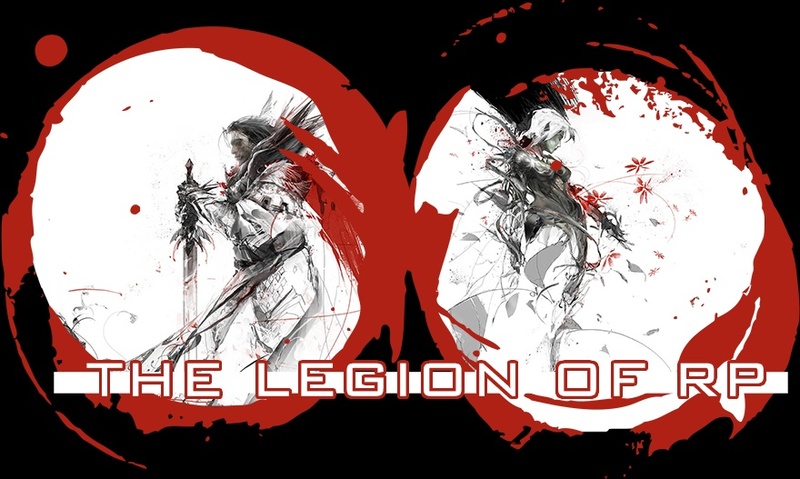 Relax your imaginations for a second and just chat away with the rest of the forums fellow Legionnaires. Yeah, sadly the site's still under construction so I'm not inviting too many people. It'll be done soon so I'm just inviting a few. Although anyone can join and wait if they want or to simply role play about anything other than Legion RP. how do i get a sweet signature like that? So, when do I get to abuse administration powers? Kyler_Schrägs wrote: how do i get a sweet signature like that? Chibi-Tanner wrote: So, when do I get to abuse administration powers? Ehhhh, I don't know the exact time frame for my return, If I get a job down there fast I can order a satellite installed in a few months. kitkat4115 wrote: I've been good, you? That's what I thought...then I saw my b- in psychology class. It Hirt pretty bad. Writing hurts you deep. So, any plans for after high school? Victor, a B? I'm so proud of you~! Aw shucks you shouldn't be. I was going for a c.
Y'all should join chatbox. <. < it'll make it easier to chat? ._. College is for luzurs! Above the first forum. Log in and boom. We chat and junk. But guess I'll join up. Hello. Just joined by the invite. O.o speak to me people!